Saturday: Learn how to read and alter a dress-making pattern to create a pattern in your size. 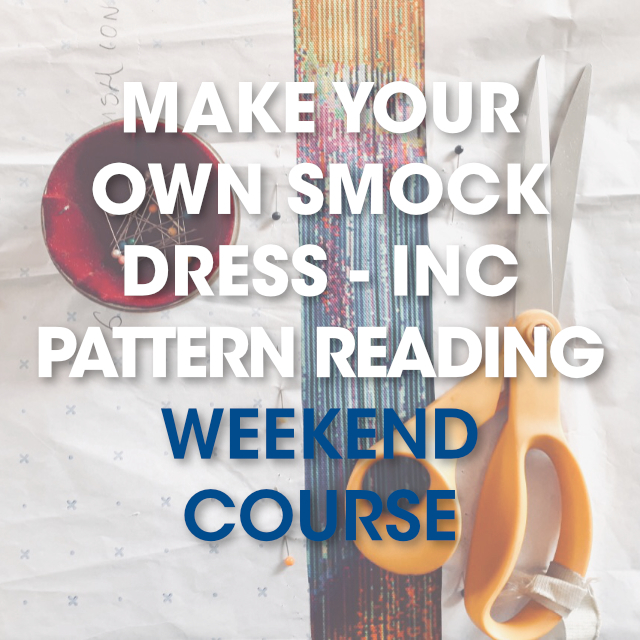 Sunday: Learn skills such as over-locking, darts, sleeves, seams, hems, necklines and facing. Leave with a completed smock dress in your desired size. Basic sewing machine skills recommended. Fabric is provided but if you would like to bring your own, please do so but make sure it is a cotton or polly-cotton. 3 metres required. Fabric made in our fabric printing workshop can also be used for this course.